Here is an awesome picture one of the girls drew of the group on the last page of my book… I’m the one hanging on the phone booth. 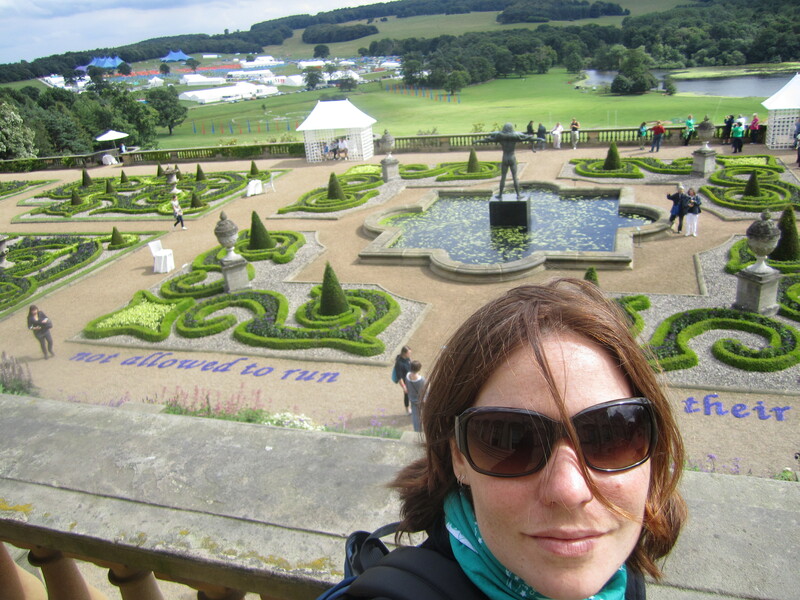 And here is a photo of me on the back steps of the Harewood House looking over the garden with the camp in the distance. 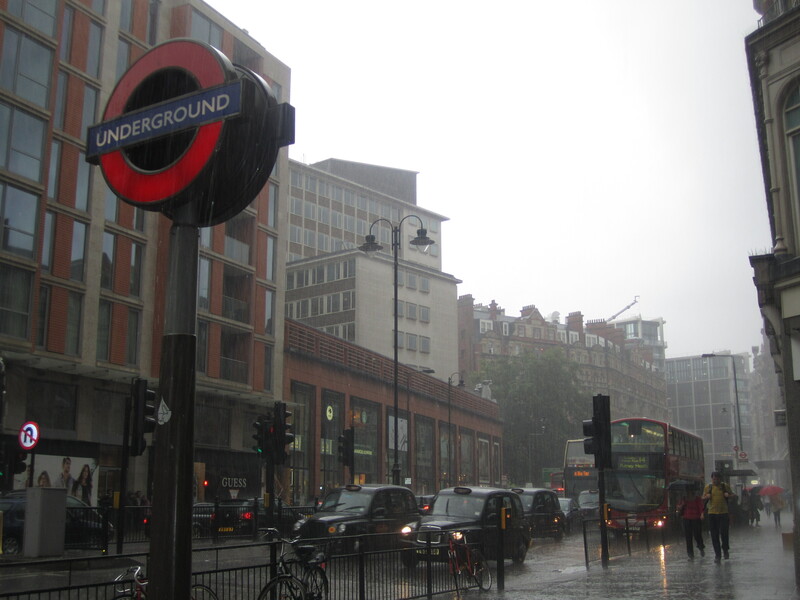 This one is my favorite photo I took on the trip when it started pouring rain in front of Harrods.